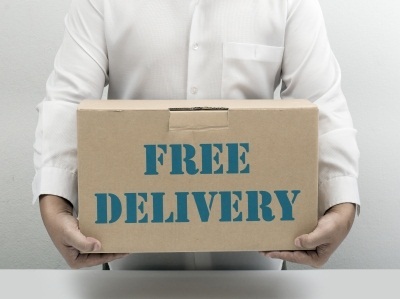 Are You Expecting a Universal Delivery? What if wellness and well-being had a money-back guarantee? What if it was absolutely and completely yours if you would be present and willing to accept receipt? That you could check in any time you wanted and determine where your wellness and well-being was along its journey of coming to you? That it wasn’t a matter of if, only a matter of when you would have it? Would that give you more confidence and help you relax about its coming? Would it inspire you to take the few small actions that will help you prepare for it? Would you more easily be able to stay focused on the life you are creating, and feel more excited or eager about its coming? What if accepting that guarantee as true is the only thing keeping optimal wellness and well-being from you? So consider this your shipping notice from the All-That-Is Transphysical Universal Delivery System (ATITUDS). The life of your dreams is on its way to you—guaranteed. The first step in scheduling your delivery is just relaxing and enjoying the knowledge that it’s coming. To prepare for delivery, you’ll want to clear the way, which might look like reaching for healthier foods, moving your body, or taking whatever action you feel is necessary on your part to become Who you want to be. You’ll want to disregard any notices of delay as spam—these may be internal fears or limiting beliefs, or the disbelief of others. Instead, you’ll receive non-stop guidance of where your delivery is through your emotions. Positive, anabolic emotions are letting you know the delivery is on-track and all is in order. Negative, catabolic emotions are letting you know you that internal blocks are delaying the shipment. When you get those notices, you’ll want to examine and detach from thoughts and beliefs that are limiting you in some way. Those internal blocks are the only reason that delivery may be delayed and are the full responsibility of the recipient. On behalf of all your personal ATITUDS staff, we encourage you to have fun and enjoy the delivery process. This entry was posted in MindBodySpirt and tagged Actions, Anabolic, Beliefs, Catabolic, Confidence, delivery system, disbelief, Energy, Feelings, Focus, foucs, Fun, Happy, Health, healthier foods, Healthy, healthy-living, Inspiration, Law of Attraction, mental-health, Mind Body Spirit, negative emotions, Optimal Wellness, Positive Thoughts, prepare, Present, Relax, shipping notice, Spirituality, Thoughts, wellness by Goss Coaching. Bookmark the permalink. Excellent! Makes perfect sense and I know it’s on the way. Thanks! I was having some fun this morning. You are on the staff! You carry it with you always. A great post. I’ve set up an email address direct to the Universe, so I can order Abundance online! Thank you! That just made my day!